Are you one of the many adults who have been exercising to get rid of the extra baggage you have been lugging around your midsection? Maybe you can’t seem to lose those last few stubborn pounds? You may have looked into liposuction or another body contouring treatment, but found it to be too invasive or too expensive. There is a better solution! With the advancement in new, noninvasive technology, it is now easier than ever. Vanquish is the latest innovation in non-invasive, non-surgical technology, harnessing the power of safe thermal energy like never before. Specifically designed to redefine your core, Vanquish treats the problematic midsection by targeting deep tissue layers without damage to your skin or surrounding muscle tissue. The breakthrough Vanquish technology selectively heats stubborn cells just enough to allow for cell breakdown, transforming them into waste, which the body begins to naturally fiush away and eliminate. This process provides total comfort to the patient and is ergonomically designed to ensure safety and results that can be seen in days, not weeks or months. 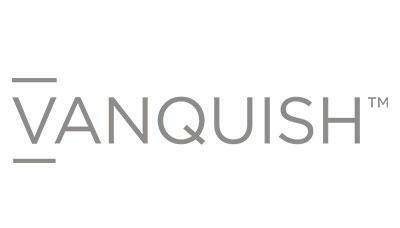 Vanquish treats the entire midsection in the least amount of treatments and the shortest amount of time. Get ready to pull out your skinny jeans, because Vanquish will make those dreams a reality!